If you’re in need of commercial furnace service for your Saratoga, NY business or organization, trust Family Danz. For more than 30 years, Family Danz has been helping Saratoga, NY businesses and organizations with their furnace needs, and we want to help you keep your clients and employees comfortable as well. Our skilled commercial HVAC professionals are specifically trained to diagnose and troubleshoot any repair needed to your commercial furnace system. 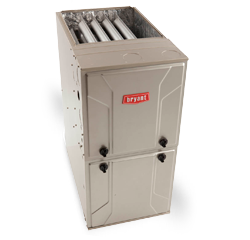 They will also help you select the best, most energy efficient commercial furnace products for your Saratoga, NY business or organization, as well as your budget. We love helping our Saratoga, NY clients with their commercial furnace service needs. Downtime can be expensive for businesses and organizations – that’s why Family Danz works hard to ensure that your commercial furnace service is completed to your complete satisfaction. That way, you can get back to business quickly. Trust the professionals at Family Danz. Simply call us at (518) 427-8685for prompt, courteous service.